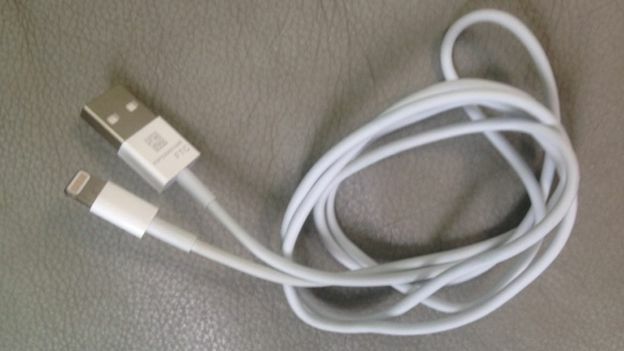 The iPhone 5 charging cable appears to have been leaked via a website which specialises in making cables for smartphones, the website tweeted an image of the cable which shows what appears to be the much-rumoured smaller pin connector. This is the most comprehensive leak yet of an Apple iPhone 5 product and will do nothing to stem the rumours that Apple will be launching the next iPhone 5 at the beginning of next month. With no official release date for the next iPhone reports indicate that Apple will be looking to unveil their next smartphone on September 12th. The move to a smaller pin connector holds true with many of the actual iPhone 5 leaks which show the new iPhone will indeed sport a smaller dock on the bottom in order to accomodate a headphone jack on the bottom.